Homer Sykes, England 1970- 1980. Maison de la Photographie Robert Doisneau, Gentilly, Paris. 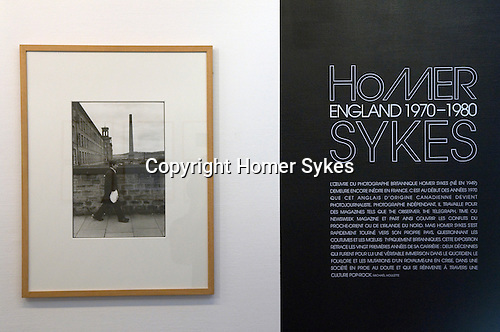 Homer Sykes; England 1970-1980. 27th June - 12th October 2014. Exhibition in Gentilly, is six stations south of Gare du Nord on the blue line. Then four minute walk from station, follow the M logo on the pavement down the hill. The back of the gallery is in front of you, next to the library.